This introduction to the expanding field of literacy studies has been fully revised for the second edition. It explores recent developments and new research that has contributed to our understanding of literacy practices, reflecting on the interdisciplinary growth of the study of reading and writing over the past decade. Now features additional material on cross-cultural perspectives, US-based examples, and information detailing current educational policy. 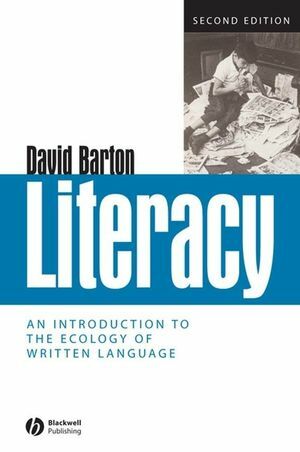 David Barton is Professor of Language and Literacy and Director of the Literacy Research Centre at Lancaster University. His publications include Beyond Communities of Practice (co-edited with Karin Tusting, 2005), Letter Writing as a Social Practice (co-edited with Nigel Hall, 2000), and Local Literacies: Reading and Writing in One Community (with Mary Hamilton, 1998). Chapter 1. An Integrated Approach to Literacy. Chapter 2. Talking About Literacy. Chapter 3. The Social Basis of Literacy. Chapter 4. Researching Literacy Practices. Researching Literacy as Social Practice. Local and Community Literacy Practices. The Social Patterning of Literacy Practices. Chapter 5. Literacy Embedded in Language. From registers to genres and discourses. Chapter 6. Configurations of Language. Written and Spoken Language are Different. Continua from Written to Spoken. Chapter 7. Writing Systems and Other Notations. Chapter 8. Points in History. Earlier forms of symbolic representation. A Social History of Literacy. The development of a literate culture. Chapter 9. The Roots of Literacy. Chapter 11. Public Definitions of Literacy. Writer as Scribe and as Author. The Literary View of Literacy. What Goes On in Schools. Chapter 13. Adults and World Literacy. Not Literate in a Literate World. Language Issues in Adult Literacy. Chapter 14. Some Implications of an Ecological View.